The TMB ProCan Par 20 (mini-par) is a standard par can perfect for entertainment lighting purposes. The Par 20 features quality rolled aluminum and double reinforced yoke mounts. 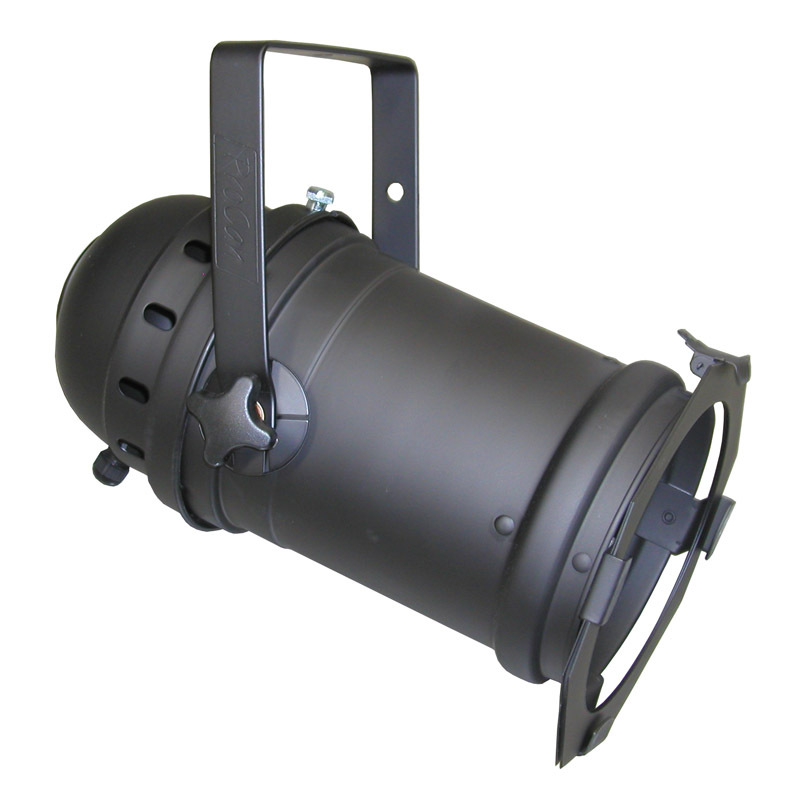 The Altman PAR 38 is a standard par can perfect for entertainment lighting purposes. The Par 38 features quality rolled aluminum and double reinforced yoke mounts. The TMB ProCan Par 56 is a standard par can perfect for entertainment lighting purposes. The Par 56 features quality rolled aluminum and double reinforced yoke mounts. The TMB ProCan Par 64 is a standard par can perfect for entertainment lighting purposes. 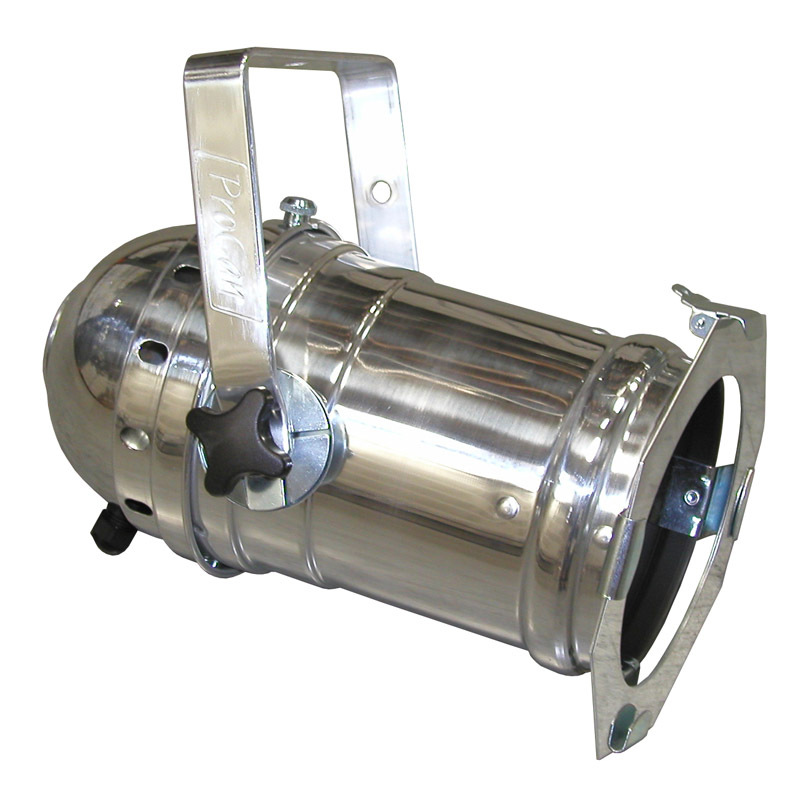 The Par 64 features quality rolled aluminum and double reinforced yoke mounts. The ETC Source Four (Source 4) PAR is the evolution of the ordinary par can. Source Four PAR stands out of the luminaire crowd with rugged construction and acclaimed Source Four optical technology that provides superior brightness as well as energy savings. Source Four PARs deliver a smooth even field and at 575 watts are comparable to 1000W Par 64 cans. Changing beam angles is easy with four choices in snap-in lenses that mount in a cool rotating ring. Its features include: Compact design, Rated up to 750W, Enhanced aluminum (EA) reflector, Super-efficient HPL lamp, Interchangeable lenses, Die-cast faceted reflector. Award-winning innovation in flood lighting. With the PARNel fixture, ETC introduced a new category of product to the entertainment-lighting world. Featuring a patented wave-lens design and easy focusing knob, the PARNel lets you quickly access a range of 25-45 degrees and a smooth, soft, symmetrical field that you can spot or flood as needed. With the PARNel, ETC went beyond mere imitation and created a genre-bender with Fresnel-like functionality and the awesome performance of a Source Four PAR. 3″ – 100watt – A lightweight, very short throw, all purpose lighting device; the 100 produces a soft edged beam which varies in diameter from 4.2 feet to 10.4 feet at a throw distance of 10 feet. The 100 is designed for incandescent lamps as well as tungsten halogen lamps. The unit is used in theater for specials or in television and photographic studios for table top applications. Other uses include nightclubs, museums and show windows where soft edged controlled lighting is required. 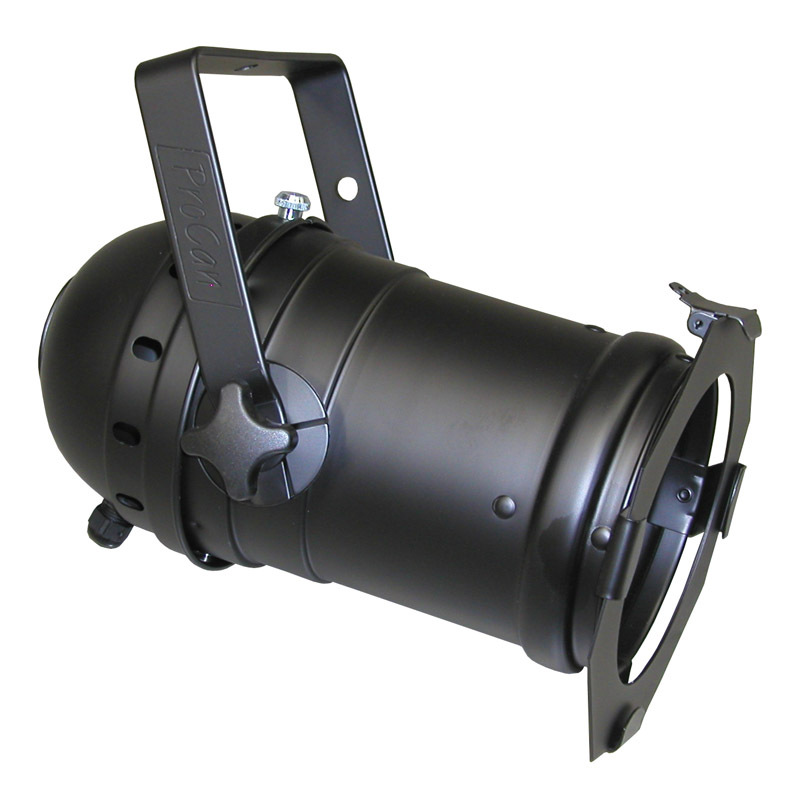 6″ – 750watt – A lightweight, short-throw, all-purpose lighting device, the 6″ fresnel produces a soft- edged beam varying in diameter from 4.2 feet to 21 feet at a throw distance of 15 feet. The 65Q and 165Q are designed for operation with long-life, high-intensity tungsten-halogen lamps. The luminaire is used in theater for acting area lighting where beam shaping is not required, or in television studios for key and back lighting. Other uses include nightclubs, museums and show windows where soft-edged controlled lighting is required. 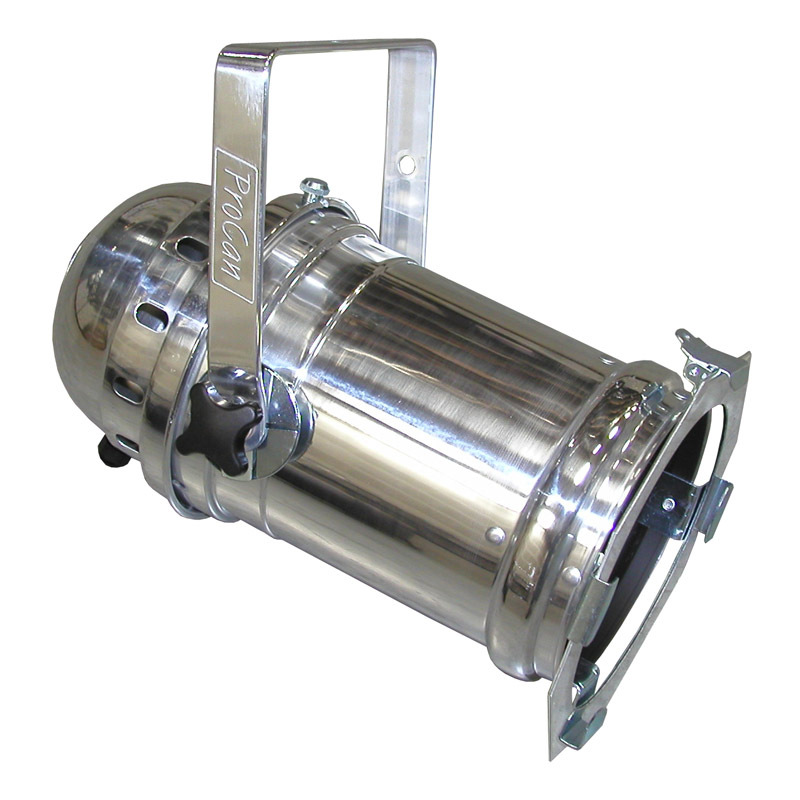 8″ – 1000watt – A lightweight, long throw, all purpose lighting device the 8″ fresnel produces a soft edged beam which varies in diameter from 6.3 feet to 25 feet at a throw distance of 30 feet. The 75Q and 175Q are designed for operation with the long life, high intensity tungsten halogen lamps. The luminaire is used in theater for acting area lighting where beam shaping is not required or in television studios for key and back lighting. Other uses include nightclubs, museums and show windows were soft edge controlled lighting is required. The ARRI Fresnel series is ideal for use where compact, lightweight tungsten Fresnel spotlights are required, especially in small studios where grid height is a problem. Classic ARRI construction, using corrosion-resistant, extruded, die cast aluminum, maximizes body strength while maintaining the light weight of a location fixture. Despite the small size of ARRI Fresnels, their short focal length, wide angle lenses produce impressive light output and good light distribution over the full beam area. Despite the small size of ARRI Fresnels, their short focal length, wide angle lenses produce impressive light output and good light distribution over the full beam area. ARRI Fresnels are available in both manual and pole-operated versions. A lightweight multi-purpose elliptical reflector floodlight, both scoops produce a very diffuse soft edged beam. The 154 scoop produces a beam diameter of 15 feet at a distance of 7.5 feet, and the 160 scoop produces a beam diameter that varies from 13.5 to 20.7 feet at the same distance. Both luminaires are designed to operate high color temperature Tungsten Halogen lamp as well as standard incandescent lamps. These fixtures are used in theatre and television as both a flood light and a cyclorama fixture. Other uses include photographic and television remote fill light. The scoop is an ideal fixture for color blending and for creating smooth even washes of light. The ETC Source Four (Source 4) 5 Degree features a standard Source Four ellipsoidal head and a 5 degree lens tube. The Source Four is the fixture that changed the lighting industry. It combines the energy saving power of the HPL lamp with a dichroic reflector and optical quality lenses. These features combine to make the coolest beam available in an ellipsoidal- meaning gels, patterns, and shutters last longer and your performance space stays cooler. Its features include: Rated up to 750W, Super-efficient HPL lamp, Faceted dichroic reflector, Three plane stainless steel shutter blade assembly, Tool-free lamp adjustment, Insulated rear handle. The ETC Source Four (Source 4) 10 Degree features a standard Source Four ellipsoidal head and a 10 degree lens tube. The Source Four is the fixture that changed the lighting industry. It combines the energy saving power of the HPL lamp with a dichroic reflector and optical quality lenses. These features combine to make the coolest beam available in an ellipsoidal- meaning gels, patterns, and shutters last longer and your performance space stays cooler. The ETC Source Four (Source 4) 14 Degree features a standard Source Four ellipsoidal head and a 14 degree lens tube. The Source Four is the fixture that changed the lighting industry. It combines the energy saving power of the HPL lamp with a dichroic reflector and optical quality lenses. These features combine to make the coolest beam available in an ellipsoidal- meaning gels, patterns, and shutters last longer and your performance space stays cooler. The ETC Source Four (Source 4) 19 Degree Leko features a standard Source Four ellipsoidal head and a 19 degree lens tube. The Source Four is the fixture that changed the lighting industry. It combines the energy saving power of the HPL lamp with a dichroic reflector and optical quality lenses. These features combine to make the coolest beam available in an ellipoidal- meaning gels, patterns, and shutters last longer and your performance space stays cooler. The ETC Source Four (Source 4) 26 Degree Leko features a standard Source Four ellipsoidal head and a 26 degree lens tube. The Source Four is the fixture that changed the lighting industry. It combines the energy saving power of the HPL lamp with a dichroic reflector and optical quality lenses. These features combine to make the coolest beam available in an ellipsoidal- meaning gels, patterns, and shutters last longer and your performance space stays cooler. The ETC Source Four (Source 4) 36 Degree Leko features a standard Source Four ellipsoidal head and a 36 degree lens tube. The Source Four is the fixture that changed the lighting industry. It combines the energy saving power of the HPL lamp with a dichroic reflector and optical quality lenses. These features combine to make the coolest beam available in an ellipsoidal- meaning gels, patterns, and shutters last longer and your performance space stays cooler. The ETC Source Four (Source 4) 50 Degree Leko features a standard Source Four ellipsoidal head and a 50 degree lens tube. The Source Four is the fixture that changed the lighting industry. It combines the energy saving power of the HPL lamp with a dichroic reflector and optical quality lenses. These features combine to make the coolest beam available in an ellipsoidal- meaning gels, patterns, and shutters last longer and your performance space stays cooler. The ETC Source Four (Source 4) 70 Degree Leko features a standard Source Four ellipsoidal head and a 70 degree lens tube. The Source Four is the fixture that changed the lighting industry. It combines the energy saving power of the HPL lamp with a dichroic reflector and optical quality lenses. These features combine to make the coolest beam available in an ellipsoidal- meaning gels, patterns, and shutters last longer and your performance space stays cooler. The ETC Source Four (Source 4) 90 Degree Leko features a standard Source Four ellipsoidal head and a 90 degree lens tube. The Source Four is the fixture that changed the lighting industry. It combines the energy saving power of the HPL lamp with a dichroic reflector and optical quality lenses. These features combine to make the coolest beam available in an ellipsoidal- meaning gels, patterns, and shutters last longer and your performance space stays cooler. Italian made this new age leko is an innovative “Multi-LED” light source that produces uniform beam with no pixels or dots. It has full spectrum color mixing +all whites from 3200 k to 9000 k + digital color filters. Some of its other features include: no more multicolored shadows, soft/hard edge profile, instant gobos from your standard printer and its ideal for very low noise applications. White strand market lights with globe bulbs. These come in 25′ strands that can be connected together to lengths over 100′ long and are most popular for weddings but can also be used for backyard style events. A dimming control system can be hooked up to these to control the brightness of them. Dimming control system is rented separately.